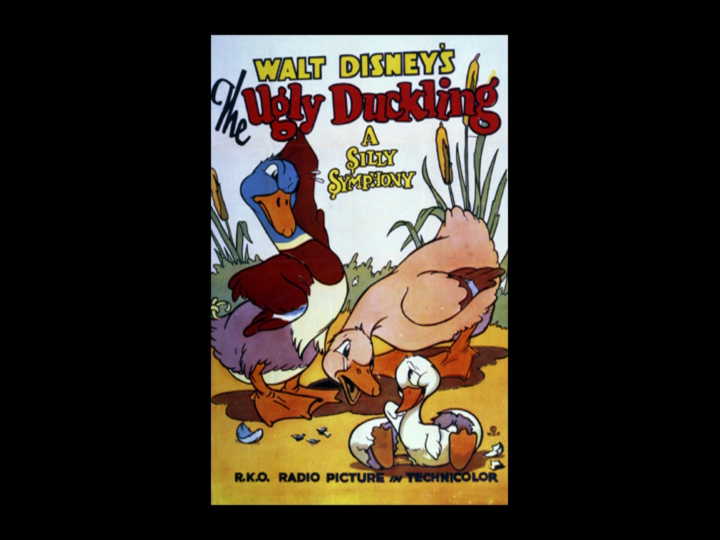 At the 12th Academy Awards, held at The Coconut Grove in Los Angeles on February 29, 1940, the Walt Disney Studios and RKO Radio were awarded an Academy Award for their final Silly Symphony, The Ugly Duckling. The short was up against Detouring America by Warner Brothers, Place on Earth by MGM, and The Pointer, also by the Walt Disney Studios and RKO Radio. First released April 7, 1939, it was a remake of the 1931 Silly Symphony of the same name, and was the only Silly Symphony ever remade. The story and animation were significantly different from the 1931 short, which shows the tremendous strides in animation the Disney Studios had made in those nine years. Instead of the slapstick and gags they relied so heavily on in the early days of the studio, the 1939 version shows how they were able to make their character emote and become fully fleshed out. The plot of this short is based on the Hans Christian Andersen tale, and tells the story through music of a duckling shunned by his family, as he is considered by his parents to be ugly. 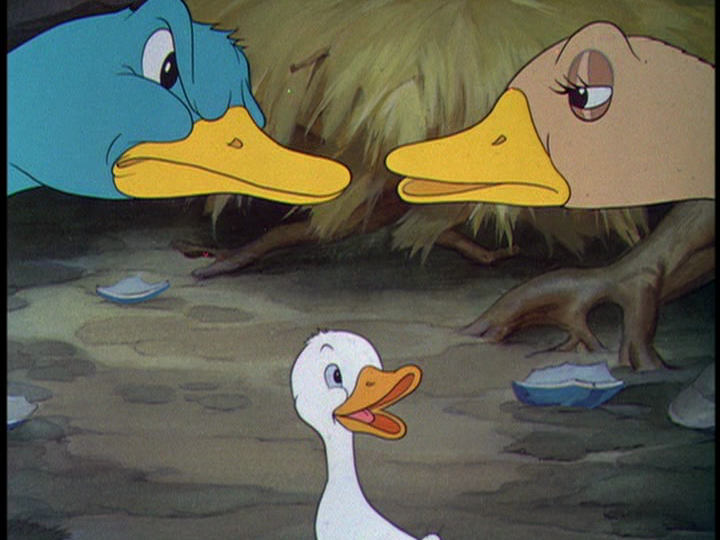 The duckling, ashamed, tries to find a mother that will accept him the way he is. It’s easy to see, after watching this short, why it would win an Academy Award – it truly was a high note for the Silly Symphonies in which to go out. Posted in Uncategorized and tagged 1930s, Academy Award winning, Color, Short film, Silly Symphony. Bookmark the permalink.